I’m thrilled and honored to be accepting the “Emeritus Printmakers Award” at the upcoming Southern Graphics Council International (SGCI) Annual Conference being held in the Dallas/Fort Worth Metroplex March 6 through 9. SGCI, the largest international organization for printmakers, recognizes “one senior printmaker of established reputation” each year. The award recipient’s work is featured in a retrospective exhibition during the annual conference. My retrospective — including over 50 pieces spanning my career to date — will be February 12 to March 8, 2019 at the Forum Gallery, Building F, Brookhaven College, 3939 Valley View Lane, Farmers Branch, TX 75244. Please join me at the public opening in the gallery on Thursday, February 21 from 6 to 8pm. The Forum Gallery is open Monday through Friday from 9am to 5pm. 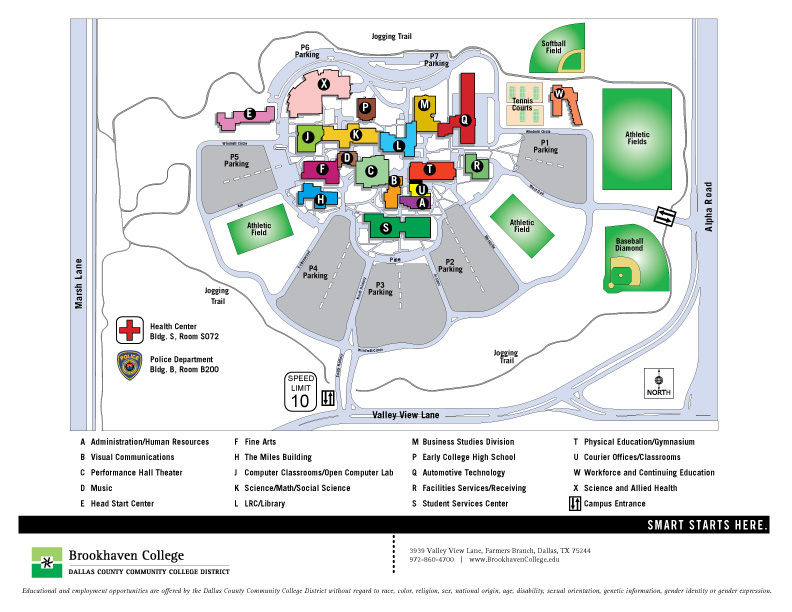 See the adjacent campus map (click to enlarge) for help in locating the gallery in Building F (Fine Arts) on the Brookhaven campus. Please park in Lot P5. Come celebrate selected works by leading female figures of the past and future of Austin’s Flatbed Press, now in its 30th year, at “Women of Flatbed: A Retrospective.” Soon after its inception in 1989, co-owner Katherine Brimberry discovered a dearth of women artists who used printmaking as a part of their practice. Now, most of Flatbed’s printers are women, enriching both the printmaking community and the creative environment for women artists in Austin. A part of PRINT AUSTIN, the exhibition will remain on site through Sunday, April 28 2019. Artists in the show will include Alice Leora Briggs, Suzi Davidoff, Sandra C. Fernández, Annalise Gratovich, Beverly Penn, Sandria Hu, Sharon Kopriva, Mary McCleary, Melissa Miller, Celia Munoz, Liliana Porter, Linda Ridgway, Julie Speed, Ann Stautberg, Bettie Ward, Joan Winter, Sydney Yeager, Judy Youngblood and more. Hooray! Last week I signed the four color etchings I’ve been making at Flatbed Press and Gallery in Austin. After a year of work, they are finished!! The group of the four images is titled Stormy Seas and the individual images are Cool Comes In, Rising Swells, Turbulent Horizon, and Unexpected Moon. They are filled with brilliant color, etched textures, and oceans and weather. I am delighted with the prints! The images and details about the prints can be found in Portfolio section of this web site. The etchings are available for sale from Flatbed Press and William Campbell Contemporary Art, Fort Worth, Texas. The individual prints are $1250 each. I want to thank Katherine Brimberry and everyone who is part of Flatbed for all their hard work, the fun, and the success of the project. I particularly want to thank Katherine, Flatbed’s owner and my main collaborator, Tracy Mayrello, Master Printer, and Cordelia Blanchard, Printer, for their professionalism, exacting standards, patience, and dedication to printing the etchings exactly like I wanted them. Thanks to Kathy, Mike, Anna, Tracy, Lola, Cordelia, Delilah, Sean, Alex, and Veronica. It was a wonderful experience! Thank you, Art in Print: The Global Journal of Prints and Ideas for recognizing Stormy Seas in the News of the Print World column in the July/August 2017 edition. I’m at Flatbed Press and Gallery in Austin working on a new group of four color etchings of images of oceans and weather. They should be available in the fall. It’s great collaborating with Katherine Brimberry, Master Printer, owner of Flatbed and friend, who has skills and facilities different from mine. When I’m at the press, we’re putting in long days. It’s fun and stimulating to be surrounded by the printers, interns, artists and other folks who flow through Flatbed. So far, we’re having great results. My first success with white ground etching! Hooray! This show was featured in The New York Times. Installation: Changing Weather, 2014, linocut on paper, velcro, wood, and pins, 8 x 39 ft. Installation: Late Spring Storm, April 11– June 7, 2014, Variable Relief Print Installation, 10 x 26 ft. Installation: Wintery Mix, Dec. 13, 2013 – March 9, 2014, Variable Relief Print, pins, wood, and velcro, 9 x 23 ft.
My work explores the passing of time and the tension between the human longing for reassuring repetition and — at the same time — change. I am particularly interested in our human ability to see what we expect to see, to misinterpret, to see a partial picture as the whole, to disregard incremental change, or to completely overlook the significant. My current artwork uses the lines and patterns from daily weather maps and images of weather — rain, snow, clouds, hail — as visual metaphors for these ideas. It explores the constancy, variation, and violence hidden within the familiar, reassuring seasonal cycle. I also use images of oceans — stormy, placid, or dramatic — as visual reflections of human moods and emotions. Like a human life, my artwork is multi-layered, complex, and develops over time. Color, texture, humor, and the physical joy of applying paint and cutting relief prints are important in the creation of my work. In the process of creating a piece, I begin working on an idea with a loosely drawn skeleton. I add layers of paint and drawing, building up layers of meanings and emphasis to create a finished piece that is dense with meaning. My installations, which are constructed with relief-printed images on paper applied to walls, floors, and ceilings, surround the viewers with visual representations of change, movement, and repetition. They directly address change and the passage of time by surrounding the viewer with moving storms, slow drips, changing clouds, and moving hail, snow, wind, and rain.